Figure 1. 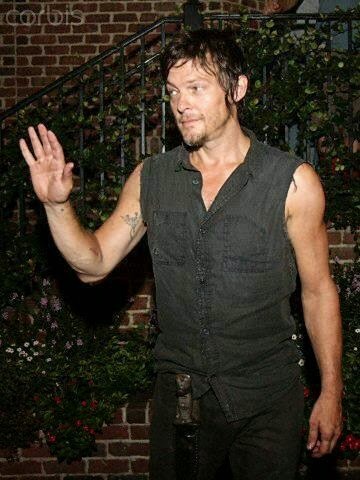 Thank you for being such a beautiful complex human being, Norman. This has nothing to do w/ YA or gratitude. I was raised by a woman who insisted on thank you notes. Not only did she stick a package of them in my Christmas stocking, she also hounded me about writing them for weeks and weeks after any occasion where I got a gift. I resisted, at first, but finally, I just did them, to escape her harassment. She would take the bundle of notes and address and stamp them for me. Now I am a lady who does this kind of thing herself. I buy thank you notes constantly so I have just the right note for the right occasion or person. This is a very good piece of training to receive from one's parents. I can't think of a reason when sending a thank-you note is a bad idea. This brings me to the part where I tell you something wise and important. When I get emails from people who have read my book and tell me nice things about it, it's pretty much the best thing ever. I mean, first off, it's great they read my book. It's great they maybe even bought it. It's great they might recommend it or write reviews for it online. But when they send me a note saying that they enjoyed it for this or that reason, that it moved them in some way I didn't expect, that it inspired them or made them cry (sorry! I don't want to make anyone cry! ), it's the best feeling ever. Their mom didn't foist the package of thank you notes on them; they weren't being MADE to write for an assignment or to be polite. It's an entirely voluntary and kind thing they are doing and if I have any advice for aspiring authors (advice, ICK, sorry; it's like making people cry) it's that when you are moved by a book and you love it and you enjoyed it and it maybe even taught you something about your own writing, sending this kind of note is probably one of the best moves you can ever make. You are entering into the community of writers and readers and you are putting in motion a beautiful action that will have an equal, positive reaction. You are sending your thank you notes, via email, of course, but they are still thank yous, and they are coming from a real, true place. You are giving a gift for no reason, for no occasion, with no motive beyond extending gratitude. Authors can't live off those notes. They need to be paid, yes. But there is something transformative about getting them and I suspect that there is in giving them as well. So here I will say thank you, to all those people who have given me these unexpected gifts: thank you. Your words have made hard days better and good days sweeter. Thank you for being a reader. Thank you for sending me and other writers kind words. Thank you for taking a minute to acknowledge the ways our fake people and invisible worlds matter. Thank you; I wish you all good things in 2015. I love this post, Carrie! As you know, I love telling other authors what I love about their books, and how they've made me feel. It's nice to know that it's taken in the way it's intended - with gratitude for writing beautiful thought-provoking books! I second this. Before my books came out, I hesitated to send messages to writers about their books, assuming that I would be "bothering" them. But now that I've been on the receiving end, I realize that I always welcome such notes and they are never a bother. So I've tried to be more conscientious about sending them to others! I like this post. I've thought about writing notes to writers I've admired, though before e-mail I didn't know how to contact them. I've gone to some of their book signings, but I was usually too shy to tell them how much their work meant to me or to ask them what I really wanted to know about the characters. I wish I had, though. Love me some thank-you notes. Happy '15!